6.0.1.1 If you also know any other methods to hide your whatsapp Images from Gallery then let me know by comment. 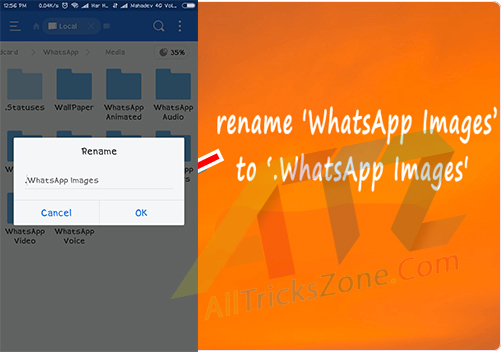 Hide WhastApp images from Gallery: Hello Friends i am here with one of the awesome trick for How to hide whatsapp images from Gallery in Android / iPhone. As you all know Our friends added my whatsapp Number on Their Group, So we are member of so many groups and also receiving too many Pictures & Videos from own whatsapp friends on them. But it is very important to hide all of our received Photo & Videos. You may also like GBWhatsApp Apk and WhatsApp Plus Apk and Facebook Premium Social Toolkit. 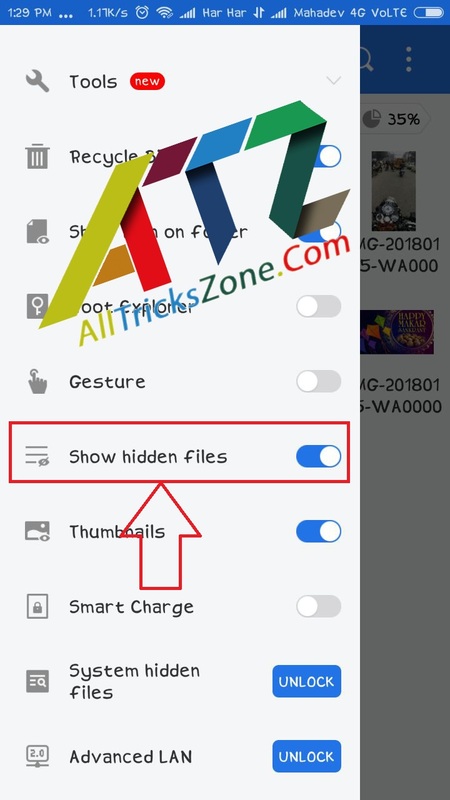 Main reason of Hide WhatsApp Images and Videos when our friends and relatives touch our mobile phones, First thing is they ope Gallery and if you are always trying to hide your personal photos on Android then simply you can follow below guide which is Trick to hide WhatsApp Pictures from Android Gallery. WhatsApp is very popular social networking app for all Smartphone users, With the help of this you are able to interchange the messages to each other instantly. If you don’t have Mobile number then you can also use Create WhatsApp Account with US Number without verification with the help of Fake Phone Number. Some of person use whatsApp only for Chatting with friends and family members. You may also know that whatsapp also provide a free voice and video call in android or iPhone devices so you can also use Recording WhatsApp Calls with the help of Automatically Record WhatsApp Calls in Android without any issues. 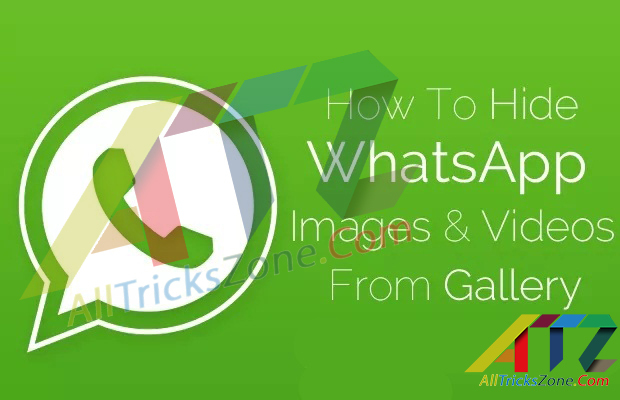 There are many of the peoples wanna know that How to Hide WhatsApp Images from Gallery in Android phone. We have also shared an article on Change Facebook Name Before 60 Days. Our friends always shared some awesome WhatsApp Dp Collection which is special pictures and videos on our whatsapp Account and share with us, But we have always fear that what if anybody can see these all pictures or videos on our mobile phone if that are not good, Because some of the time our friends send us picture of their girlfriend or adult images and now we have to keep it in private in our mobile because our all Images and Videos received on WhatsApp and also appear in Our Gallery or Photo, So, Whenever as if anybody touch our mobile, Firstly they open the Gallery for sure. So in this situation if you are thinking about How to Secure our WhatsApp images and video from other persons then this is the best answer. You can simply have a option to Easily hide your whatsapp images and videos from Gallery. 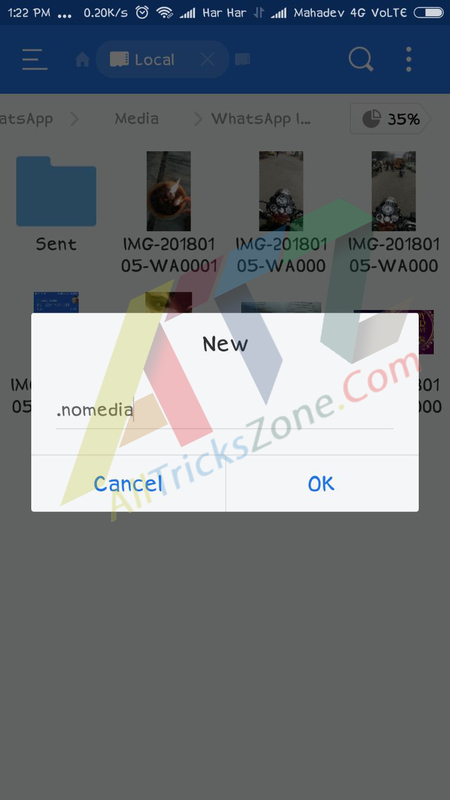 If you thing that it is possible or not to Hide our whatsapp images from our phone gallery then it is possible to Prevent WhatsApp Images from other without any issues. You just need to do some changes in your device after that your all images and videos received on WhatsApp will disappear from Gallery and you are Fully safe about them. Peoples are searches over the internet to find on Google for Method to hide Whatsapp images from Gallery on their Android device. So we have decided to share you one of the wonderful Method for this hiding method. So Guys, This was the method to Hide WhatsApp images from gallery in android and iPhone. 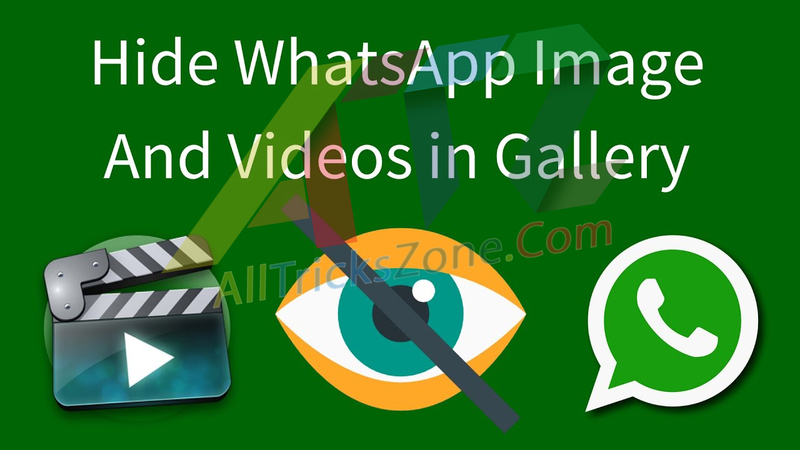 Now again I am going to sharing one alternate method to Hide whatsApp images from gallery in android. If still you are unable to hide your whatsapp data from gallery then must try out my second method. That’s it friends this was the one of the My two Best methods to hide whatsapp images from Gallery in Android. Now next i am going to share about How to hide WhatsApp images from gallery in iPhone. 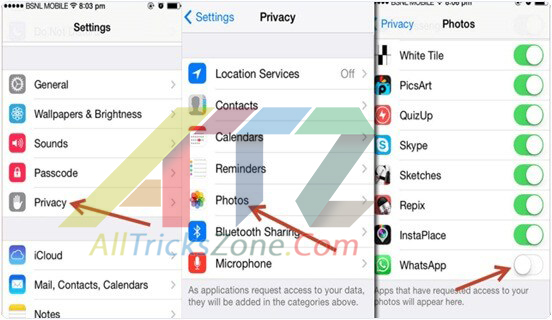 Follow all the steps which Tutorial we have shared to hide your Whatsapp images from gallery in iPhone. 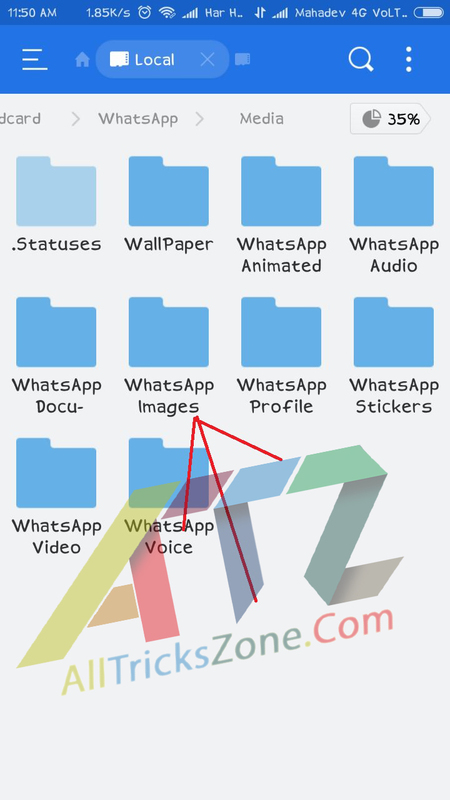 How to Unhide WhatsApp Images Folder in phone’s gallery? Since android Device is based on Linux Kernel if you add Dot in front of folder name the OS thinks this is important system file and it hides that file and folder. You can also use this trick for any folder if you want to hide it. So Friends if you are iPhone users and you may think that How to Hide WhatsApp images in iPhone Gallery to keep them safe from others then don’t worry i will also shared an Full Guide of Hide your all whastapp images on iPhone, Simply Follow below full Tutorial. It is very easy step for all iPhone users to hide Whatsapp images from gallery in iPhone rather than android users. Step 5. After that You will not see your WhatsApp Images in Gallery. This is my easy method for How to hide WhatsApp Images from Gallery in Android and iPhone users. For this You can also follow same process to hide whatsapp images videos in android Gallery section. I hope you like it so much without facing any problem for this Full Tutorial Hide whatsapp images from Gallery, Still if you have problem then Feel free to comment in below section, I will try to help you out. Stay connected with us for more awesome cool stuffs same like this. If you also know any other methods to hide your whatsapp Images from Gallery then let me know by comment.